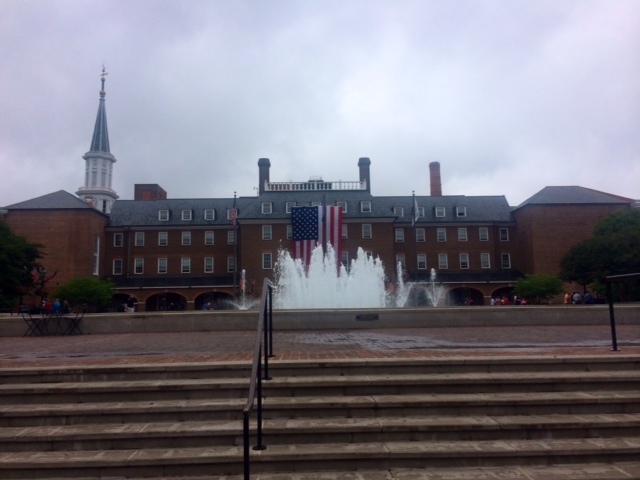 During my trip to DC, a couple of different people mentioned that the nearby town of Alexandria, VA is a great place to find antiques. I decided to make a day of it and went over first thing in the morning. First things first, I didn’t do much research on which stores I would want to check out. People said, “oh, just go to Old Town, there is stuff everywhere!” So I asked to be dropped off “in Old Town, where all of the antique stores are.” Not the best plan. While the Uber driver in DC dropped me off right in front of my favorite stores in Georgetown, this driver just dropped me off on the main drag. There were no antique stores in sight. I started googling. Finally, I realized I was only a couple of blocks away from the good stuff, so I set out walking. Each antique store I came to seemed to have signs that said “by appointment or by chance.” It was raining, I was disheartened and was about to give up, but decided to go just a couple more blocks just to see. Boy am I glad I did! Took this as I walked past City Hall during my quest for stores that were actually open. Even though I only found four antique stores all day, I had a great time. My favorite stores were Spurgeon-Lewis Antiques, The Hour and Trojan Antiques. First I went into Spurgeon-Lewis Antiques. 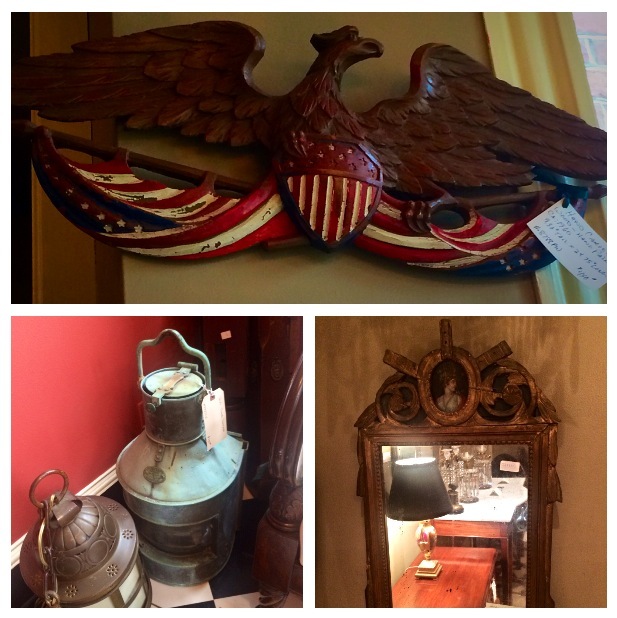 They had great stuff– high quality antiques mixed with the kind of unique finds that really make a space special. It was a decorator’s dream. I love that they’re on 1stDibs so I can keep up with their inventory from home. 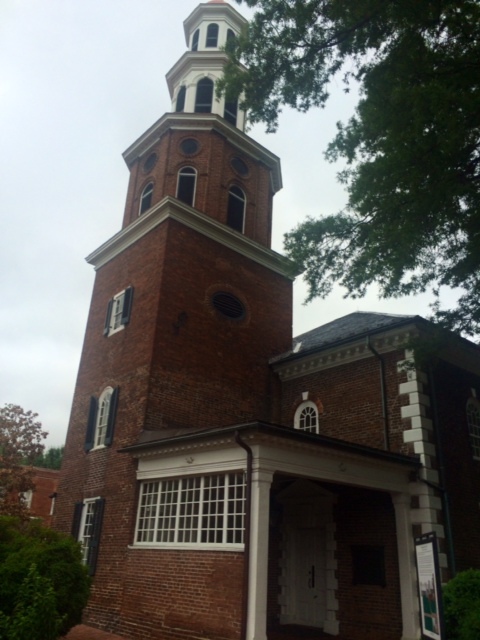 They were super friendly and told me where to find some more shops and urged me to check out the church across the street, where George Washington used to worship. This eagle banner was really pretty. I could see it above a door or hanging on a wall in an office or library. Loved the green color of this lantern. I was obsessed with this mirror and would have bought it on the spot if it would have even remotely fit into my home decor. It was from Italy around 1805. Side note: here is the church! The set on the top was my very favorite thing. Since I grew up in a “horse town” in South Carolina, I couldn’t resist a stealing a shot of these cute equine glasses. Love a penguin martini shaker! Toward the end of the day, I found Trojan Antiques. This store isn’t a looker right when you walk in, but it is definitely worth looking through. Each case is stuff from different dealers so there is a ton of variety. I ended up spending almost 2 hours in there. 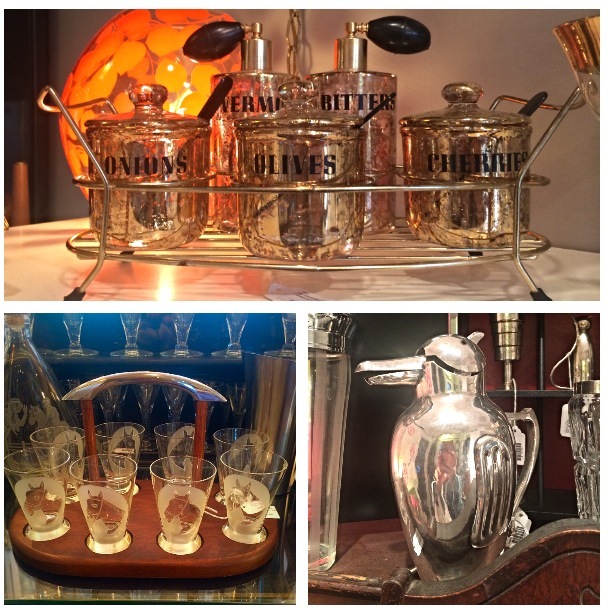 They had TONS of vintage jewelry, all kinds of silver and quirky items like Mickey Mouse watches, toys, and vintage medicines. Very cool! Lots of salt and pepper shakers. Loved this grenade lighter! I thought it would make a great gift. Bottom left is an assortment of old “cures” or medicines with watches on the shelf below. 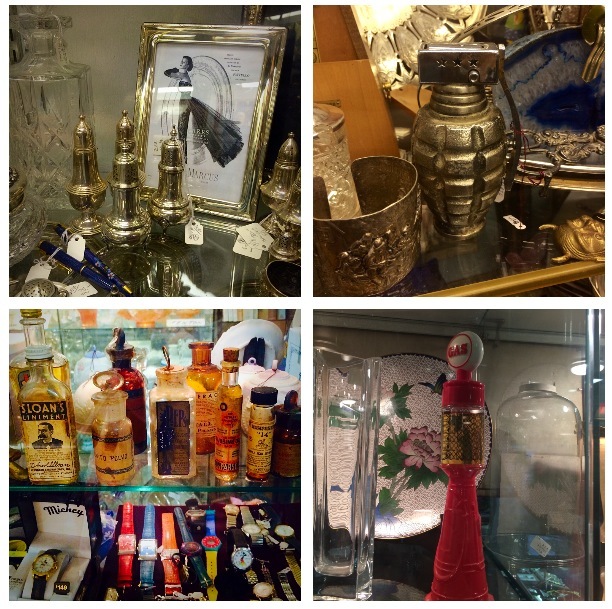 Bottom left is a vintage Avon perfume/ cologne shaped like a Mae West gas pump. The earrings were really unique. 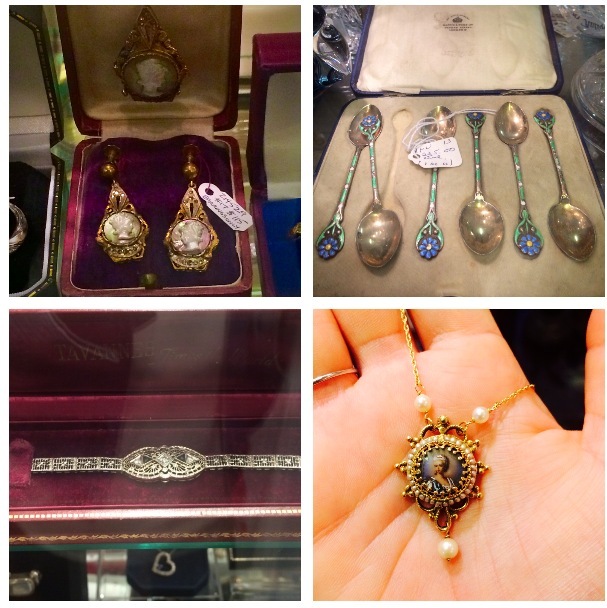 Loved these enamel and silver spoons. I think they could look great polished up. This bracelet was one of the priciest things I saw at almost $1200. Loved this necklace. At the end of the day, I realized I had forgotten to eat lunch, so I headed back down toward the water and stopped in at the Fish Market Restaurant for happy hour. I ended up getting local oysters and peel and eat shrimp and was a happy girl. All in all, I would go back to Alexandria for antiquing. If you check out Alexandria, make sure to avoid my mistake and call ahead to make sure shops are open.